Christians find themselves in an increasingly diverse world. The new place of worship in our neighborhood might just as likely be a Hindu temple or a Muslim mosque as a church or a synagogue.How should we view other world religions, and more important, how should we engage our religiously oriented neighbors in conversation? Do all religions teach the same thing? Or are there significant differences? Do we try to minimize differences and just get along? Or do we hold out the Christian faith as the one true hope for all the world? 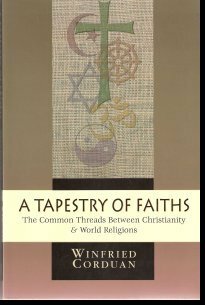 In this book I try to help us sort through the complex tapestry of faiths around the globe. I contend that there are common threads of understanding that can serve to link us in meaningful discussion. From these common threads we can go on to explore genuine differences. Through the course of the book, I hope to lead readers to explore the important issues of revelation and truth, morality and guilt, grace and redemption, eschatology and hope. Ultimately, I argue that Jesus Christ stands unique among religious figures and Christianity unique among the world's religions. In contrast to Neighboring Faiths, which is a survey of world religions, this is a comparative study between Christianity and other religions.